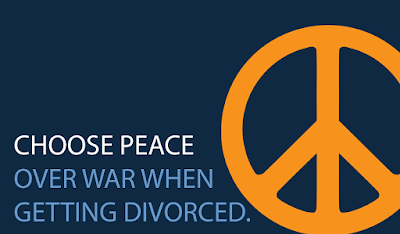 The Rosen case involved a couple who were married fourteen years and divorced by agreement in 2003. The mother had primary physical custody of three children and the father paid monthly child support of $4,500. Upon the oldest child moving in with the father, he unilaterally reduced his support by 1/3 without court approval. The parties later reached an agreement (2009) memorializing a change in support to $3,400. The agreement was filed but not approved by the court due to procedural issues. In 2011, a second child moved in with father and he filed a Complaint for Modification seeking to reduce his support and force the mother to contribute to college education expenses. The mother filed a Complaint for Contempt seeking retroactive repayment of the child support that was underpaid on the original separation agreement. The trial judge acknowledged that she could not retroactively enforce the 2009 agreement, but she did give an equitable credit to the father for the fact that the older son had been living with him for a period of time. The mother challenged the equitable credit among other decisions of the trial judge. The Appeals Court reviewed in depth the standards used in other jurisdictions for creating exceptions to the limitation on retroactive changes, but decided to create their own very specific exception. In order to avoid confusion or abuse of any exception created, the Appeals Court in Rosen "favor[ed] a clearly delineated standard that relies on objectively verifiable facts in order to allow an equitable credit." Applying these narrow principles in the Rosen case, the Appeals Court concluded that the trial judge was justified in finding that this case presented "compelling circumstances of an equitable nature" and affirmed the trial judge's award of an equitable credit to the father. The court also dealt with the standard for a finding of Contempt, corrected calculation errors as to the arrearage amount, and affirmed a college education contribution award against the mother. There is now a very clear test for determining whether a retroactive change in child support prior to the service of a Modification Complaint is appropriate, and it is a very narrow test. In other words, child support is almost never retroactively modifiable prior to the date of service of the Complaint of Modification. 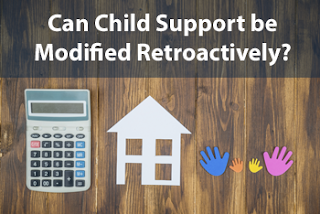 If two parents reach an agreement for modifying support, even in writing, it has to be approved by the court or it will not be enforceable.